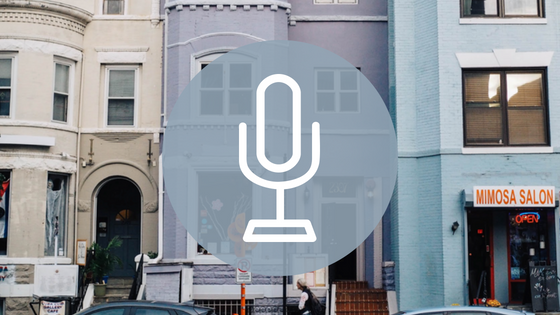 We spoke with Dr. Dana Rice, founder of the app UTI Tracker, about her experience working with patients with recurrent urinary tract infections. Here’s what she had to say. DMANNA: Can you elaborate on your story for our readers and tell us about yourself? 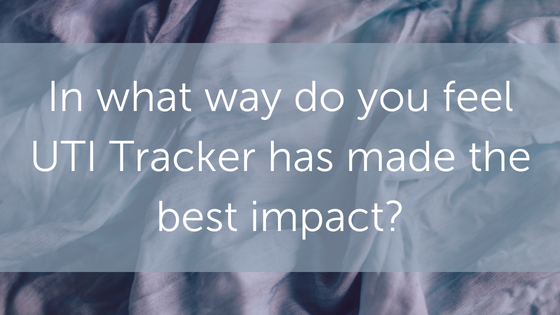 What is your background, how long have you been working with UTI patients, and why did you decide to develop UTI Tracker? 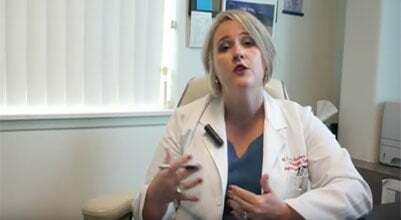 DR. RICE: I am a female urologist in Northern Virginia/greater Washington DC area. I went to medical school and residency at George Washington University. I have been in practice for 5 years.I am a board certified urologist and work full-time in practice. In residency I worked on a chapter for a pediatric textbook on urinary tract infections. I also had a congenital anomaly called vesicoureteral reflux (VUR) as a child that made me predisposed to UTIs, so I was very familiar with how life altering chronic bladder dysfunction can be. When I was in residency I thought about how much easier it would be if mothers of pediatric patients with VUR had an easy way to catalogue their children’s symptoms and cultures. In residency, I did not have the time to pursue app development, but I began sketching out ideas for the program. 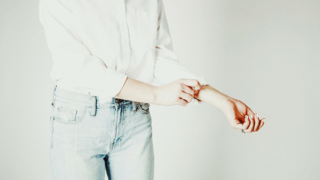 Then in private practice I began seeing so many patients with recurrent UTIs and poor histories because they were bounced around between ERs, primary care physicians, minute clinics, gynecologists, etc. Many of these patients had multi-drug resistant infections. I recognized that UTI is a significant problem in our medical community that is often not addressed. When I was on maternity leave with my second child I had time to see if all my ideas could be programmed into a functional app. The idea being that users would have an easy way to track their urinary symptoms and history in an easy to use format that is also helpful for physicians. DMANNA: Have you noticed any trends in the ways in which patients’ UTIs manifest? Any similarities in their lifestyle patterns? DR. RICE: Patterns for UTIs can be seen in both sexes. Females tend to have infections when they first become sexually active and then again when they are peri- and postmenopausal. Men tend to have more problems with UTIs when prostate issues start to manifest. This can be a wide age range for patients but usually later in life, > 60 years old. I do not think that lifestyle patterns are an easy label to apply. Patients with one steady sexual partner can be plagued with infections as much as patients with multiple partners so I hate this type of labeling. Patients with neurologic injury, stroke, and/or other congenital defects are predisposed to infections. DMANNA: What, in your opinion, are the most important things for UTI patients to do to help prevent their UTIs and why? DR. RICE: I think tracking symptoms and learning their personal patterns and triggers is the key to treatment and prevention. Once a physician or patient finds a pattern it can help establish an effective plan of care. I have an education center in the app that also details behavioral changes that seem to help prevent UTIs. It includes recommendations for timed voiding, increased water intake, supplements such as probiotics and D-Mannose to name just a few. 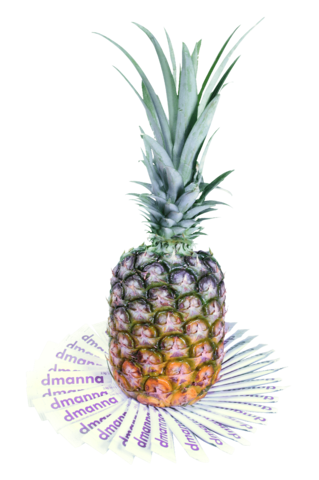 DMANNA: What, if anything, do you have planned for the future of UTI Tracker? DR. RICE: I have two different pipe dreams for UTI Tracker. The first would be to have the app introduced into sexual education curriculum so that people would be educated from an early age with the idea of preventing chronic UTIs. The second is a loftier goal and would require cooperation from organizations like NIH (National Institute of Health) or WHO (World Health Organization). I would love to have a critical number of users who track their symptoms and infections and then pull the information to determine how to prevent infection, multidrug resistance reduction, and symptoms with a goal of reduction of disease worldwide." DMANNA: In what way do you feel UTI Tracker has made the best impact? DR. RICE: The immediate reward for me has been with my own patients. I can see patients who track their symptoms reliably with the app have better success with prevention strategies. DMANNA: What, if anything, still needs to be done to better combat UTIs and educate the public? DR. RICE: This is a loaded question. 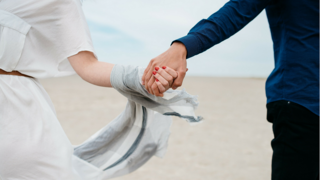 I think there are a million things that can be done to educate and prevent UTIs. Patients are hesitant to talk about their problems, as they are taboo. More than 60% of women will have a UTI in their lifetimes! This is an epidemic that is not discussed. I believe we should raise awareness and work as a community to improve algorithms for diagnosis and treatment. I also think we need to educate patients that not all urinary symptoms are from bacteria and antibiotics need to be used only as appropriate to help prevent multidrug resistant organisms. The UTI Tracker app has a 5/5 star rating on the iTunes Apple store. It’s the only app of its kind on the market and costs a paltry $3.99. That’s significantly less than the cost of a doctor’s visit. So what are you waiting for? Download yours today. Dr. Rice was named a top doctor in the Washingtonian Magazine and Northern Virginia Magazine in 2017. She’s been featured in Cosmo, Buzzfeed, Romper, E Health Radio, Northern VA Magazine and on Ashley Iaconetti’s Podcast, among others. 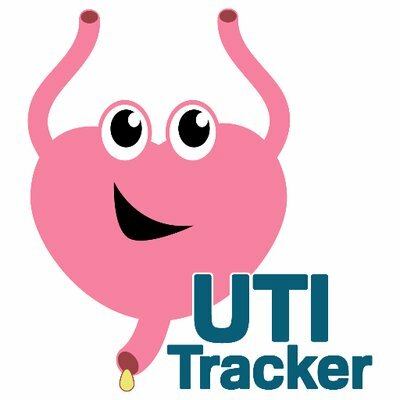 You can download the UTI Tracker app in your Apple Store and on Google Playzfeed, Romper, E Health Radio, Northern VA Magazine and on Ashley Iaconetti’s Podcast, among others.